Prominent & Leading Manufacturer from Ahmedabad, we offer kmt streamline plus series water jet uhp pump, waterjet high pressure pumps, kmt series uhp pumps, water jet uhp pump, dardi series uhp pumps and industrial water jet pump. The Water Jet UHP Pump - Streamline Plus Series is an elementary machine that has the capacity to generate high level of pressures in a given system. 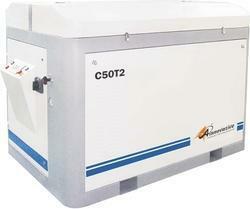 It can generate pressure exceeding 800 psi. The pumps that generate pressure between 3000 psi to 5000 psi are technically known as high pressure industrial pumps. These types of pumps are used in a variety of applications in industries and our everyday life. The most common application where they are used is in water supply applications. However, apart from the mentioned application, these pumps are also used in practical applications like pressure cleaning, chemical and oil processing, reverse osmosis, DI water misting, car wash, foam fighting, and CO2. A Waterjet High Pressure Pump is comprehensively characterized as any pump that can produce high release weight, for the most part in overabundance of 800 psi. The one that create weights in the vicinity of 800 and 3000 psi are known as direct weight pumps, while pumps that produce anyplace between 3000 psi and 5000 psi are known as high weight pumps. Aside from these weight levels, there is another class of weight pumps known as ultra-weight pumps that create weights altogether in overabundance of 5000 psi. Normal sorts of directly utilized ones for applications are known as positive removal pumps, especially plunger pumps, which are fit for dealing with applications effectively. In spite of the fact that much of the time cylinders are likewise utilized with pumps, they are generally utilized just for applications that require working weights beneath 1000 psi. A gadget that has discovered far reaching reception in KMT Series UHP Pumps is the powerfully determined intensifier or enhancer. These gadgets utilize water powered strain to fundamentally build the weight of the liquid being pumped. The intensifier comprises of a typical bar associating two cylinders with various bore sizes. At the point when water powered liquid follows up on the bigger cylinder, it makes the littler cylinder to be moved. Contingent upon the course in which the littler cylinder is moved by the water powered cylinder, it either takes suction or pressure or releases the working liquid at high weight. There are two sorts of intensifiers and in view of their development and working; they are named single shot intensifiers and responding intensifiers. The basic role of a Water Jet UHP Pump is to displace the fluid via mechanical or physical action from one place to another. To accomplish this aspect, only high pressure industrial pumps can be employed to a system because only these kinds of machines have the capacity to release water or any liquid at extreme pressures. The functioning of these pumps is pretty simple and operational. In fact, all types of pumps which are in common use in the industrial sectors have the same operation.The pump applies considerable force to water in order to create specific flow. Then, in turn the pistons that are functioning in the pump's cylinder apply this same force to the water. In industrial parlance, Dardi Series UHP Pumps are the most essential equipment as they help move air or liquid from one place to another. They are very specifically designed for commercial, industrial, and domestic purposes. On the same note, high pressure pumps, also known as, positive displacement pumps captivate limited amounts of liquid and transfer it from the suction port to a discharge port using instruments like internal gears and rotors. These pumps come with several advanced features that effectively help to displace air or liquid at smoother and constant pace from one point in the system to another. Generally, high-pressured pumps are equipped with features like timer, flow rate display, stop function, multifunction valves, and relevant other features. These devices are meant to provide long life and deliver superior performance when put to use. In the realm of high weight Industrial Water Jet Pumps, there is an extraordinary assortment. High weight pumps are utilized once a day in a wide range of various businesses. They are utilized as a part of the private group and industrially and are likewise utilized as a part of a wide range of different enterprises, for example, waste administration just to name one. These pumps make employments conceivable that would somehow are difficult to do with negligible human hands. They work incredible for a wide range of utilizations. One prominent pump is known as the diffusive pump. This is utilized to bring fluid through a pipe route for water treatment, food, chemicals et cetera. 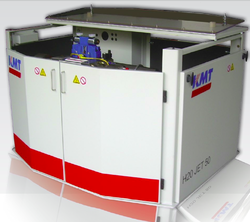 We offer KMT Streamline Plus Pumps under Water Jet UHP Pump - Streamline Plus Series that is manufactured using quality raw material. Fabricated and design in accordance with international quality standards, the highlighting features of the machine are high performance, smooth finish, easy to operate, energy saving and low in maintenance. We also custom design our machine as required by the client. The maximum quantity of orifices installed can be increase or larger orifice sizes can be installed by reducing the working pressure. 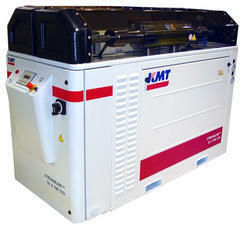 Looking for Waterjet Ultra High Pressure Pumps ?